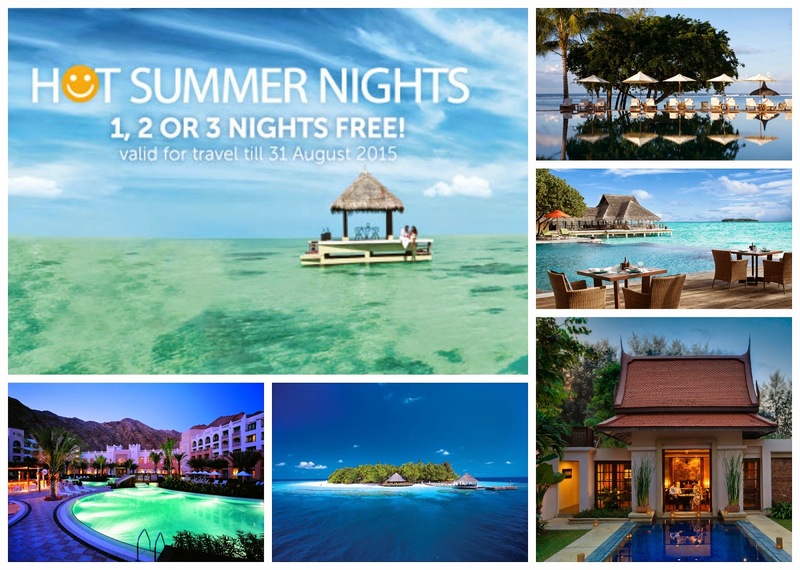 The Entertainer, the Dubai-based international company offering a portfolio of worldwide ‘buy one get one free’ incentives, has launched its annual ‘Hot Summer Nights’ hotel promotion, offering customers the opportunity to enjoy their holiday for longer with amazing hotel offers. The ‘Hot Summer Nights’ promotion features an amazing selection of hotels and resorts throughout the Middle East, Asia and Indian Ocean. Some of the participating partners include Sofitel Dubai The Palm Resort & Spa, Shangri-La's Barr Al Jissah Resort & Spa in Oman, The Westin Abu Dhabi Golf Resort & Spa, Yas Viceroy Abu Dhabi, Fairmont The Palm in Dubai, Banyan Tree Phuket, Conrad Hong Kong, Taj Exotica Resort & Spa in the Maldives, plus many more. Your chance to enjoy the luxury of traveling at unbeatable value exclusively to Entertainer Members by extending their buy one night get one free offers in the Entertainer Travel to cover multiple night stays. From the 1st May to 31st August 2015, Entertainer Members can book one night, get one free; book two nights, get two free or even book three nights and get three free. All Entertainer Members who have purchased a 2015 Entertainer product are able to redeem a ‘Hot Summer Nights’ offer. To become an Entertainer Member, simply purchase any of the Entertainer 2015 products. For more information, visit theentertainerme.com/hotsummernights. Here's your chance to win the Entertainer Dubai Body Mobile 2015. "Pamper yourself with fabulous Buy One Get One Free offers in Dubai. Indulge in luxurious treatments at Armani Spa, Talise Spa at Madinat Jumeirah, Anantara Spa The Palm, ShuiQi Spa at Atlantis The Palm, The Waldorf Astoria, So Spa - Sofitel Dubai. Beautify yourself with blow-dries, manicures and pedicures at Tips & Toes or Lily Pond. Get fit and healthy at Fitness First and Zen Yoga or enjoy a relaxing day thanks to beach and pool passes at Bab Al Shams, Le Meridien Mina Seyahi Beach Resort & Marina, Sheraton Jumeirah Beach Resort - and many more!" How do you become an Entertainer Member? And follow Dubai our Sandbox and TheEntertainer on Facebook. The winner will be announced on Sunday May 17th via Facebook.